Today we will find out more about one of the latest HYIP’s on DadidNews.com monitor. It’s a program called Bitzz. Like many other HYIP names, which begin with “bit” this one is also related to Bitcoins. The program has been online already for 40 days in total, but it joined Golden Stage on DavidNews.com two weeks ago. Now I have reinvested in this program BTC 0.0036 to keep the track of the payment status of this program. Keep reading to find out more about this Bitcoin inspired HYIP. What are the main facts you need to know about Bitzz? Bitzz is a program with a very simple investment plan strategy. It has one plan - 0.2% hourly (4.8% daily) without time limit. Initial deposit can be requested at any time for a certain release fee, which can vary from 5 and up to 100%. It depends on when you made your deposit. The more time passes – the lower fee. There are withdrawal fees if the requested sum is below 0.01 BTC. We are talking here about 3 weeks’ time to reach the break-even point. Besides that, the part of initial deposit would be returned for certain fee in case the program is still paying. Keep reading in case this investment plan seems reasonable to you. I would also kindly ask you to write in the chat box what other investment plan details would be worth mentioning at the beginning of review to help you understand if it’s worth to continue reading any review. I will appreciate your feedback! What is the marketing positioning of Bitzz? 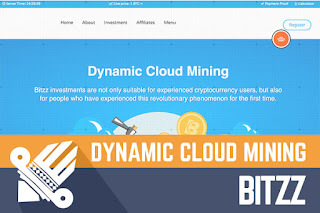 The main message on the homepage is “Dynamic Cloud Mining”. Unfortunately, I don’t see much additional information about the unique approach Bitzz is doing to make sure all investments make a profit. Basically, legend covers usual facts about Bitcoin potential. Moreover, you can read some historical facts about the development of Bitcoin cryptocurrency on the “About Us” page. Scroll down and see it yourself! When looking at the history of Bitcoin all I can say is – what a pity that I didn’t buy few thousands of Bitcoins in the year 2010 when 1 BTC did cost $0.08… In general, this legend can be used for any other Bitcoin inspired legend. The website compared to the program I review yesterday is much better. There is a relation between website colors and user behavior. This website gives me light feeling. A clean website design with a few elements. Of course, we all know that Bitzz has been online already for 40 days and no one knows how much money is left inside the program and how long will it last. Still, I prefer spending some time to do a good read on the websites, which don’t look shady. Bitzz has done the homework and visitors are not forced to leave right away with heavy background colors or annoying elements. Well, pop up chat box is an exception. It annoyed me after opening the website for the second time. The website is available for visitors in 7 different languages. In case you are familiar with any of them, drop a message in the chat box and let us know what you think of the translation. I’m curious if it’s an automated translation powered by Google Translate or a manual translation. Of course, the last is appreciated by any admin and can be considered as an extra mile. The website has a Multi-Domain SSL certificate valid until the end of the May of 2018. Most likely admin has other websites due to chosen type of SSL. The only question is what the other websites are. In case you would like to communicate with admin use online chat form, Telegram group, Facebook group, e-mail or a phone number. You can see that admin is very generous offering a large variety of communication forms in this program. Bitzz is another program with a company registered in the UK. Does it mean this program is and will be safe? Company registration details don’t guarantee anything! It can be perceived as a homework done by an admin. In fact, it’s only there to make a program look more legit. Feel free to open Companies House website where you can compare registration details and address with the details available on the Bitzz website. 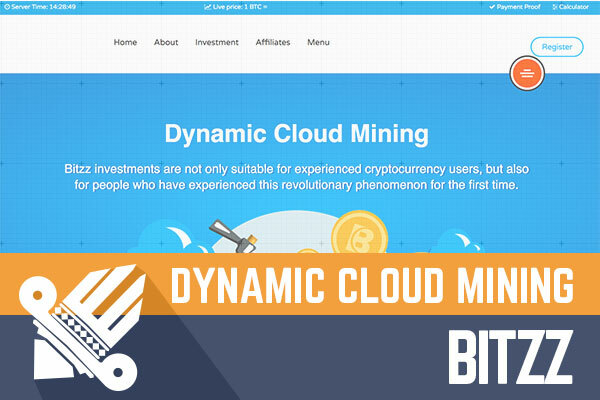 You might find there that Bitzz Mining LTD has been registered in 25th of October 2017 and company address is matching on both websites. Remember, it’s a trust element, which used to convince that there is a real business behind such programs. However, it doesn’t guarantee anything. I already mentioned that there is only one investment plan with 0.2% hourly (4.8% daily). A deposit of $200 invested in Bitzz would reach the break-even point after 21 days. Besides, requesting a withdrawal of your deposit would be already a net profit. However, I can’t tell you how much you would get due to floating deposit cancellation fee (5-100% of initial deposit), which is based on time of your deposit. Minimum withdrawal to avoid any extra withdrawal fees is 0.01 BTC, which is a lot and might be the downside of this program for many beginners. Withdrawals are instant but can take up to 24 hours. Today we are looking at a mid-term program, which is offering a net revenue equal to initial deposit within 42 days’ time. Plus, initial deposit after the cancellation fee. Intriguing, isn’t it? The main problem is that program has been already online for 40 days and we don’t know how much money is still in the program. At the beginning of the program, it would make sense at least considering the opportunity. Now, hard to tell what’s going to happen with it tomorrow or next week. Therefore, if you ever decide to make any investments, don’t invest more than you can afford to lose! Have you already made an investment in Bitzz or even made a profit? Anything worth sharing? Drop a message in the chat box! Investment plans: 5.2% for 30 calendar days, initial deposit included in the payments, 107% after five days, initial deposit included in the payment. 5% withdrawal fee.